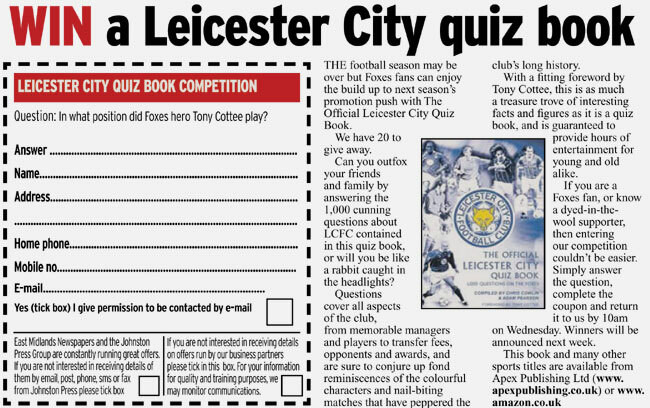 Brief Description: Can you outfox your friends and family by answering the 1,000 cunning questions about Leicester City Football Club contained in this quiz book, or will you be like a rabbit caught in the headlights? Questions cover all aspects of the club, from memorable managers and players to transfer fees, opponents and awards, and are sure to conjure up fond reminiscences of the colourful characters and nail-biting matches that have peppered the club’s long history. With a fitting foreword by Tony Cottee, this is as much a treasure trove of interesting facts and figures as it is a quiz book, and is guaranteed to provide hours of entertainment for young and old alike. 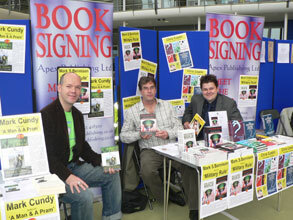 Special Note: £1 from every copy of the book sold will go to 'The Bobby Moore Fund for Cancer Research UK' Charity. This book is also available as an ebook. 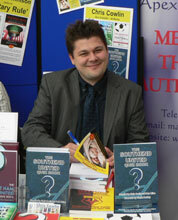 About the Author: Chris Cowlin is an avid football fan and enjoys writing about different football clubs and compiling quiz questions. Adam Pearson was born in 1966 in Hoo, near Rochester in Kent. He has spent most of his life on the Isle of Wight, but also lived in Penarth in Cardiff for a four-year period. 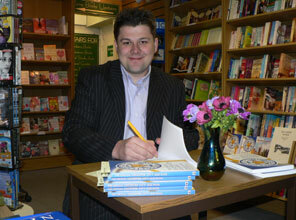 His spare time is spent with his wife and two daughters in Cowes, and of course, writing. Adam has written a number of football related titles. I will be taking the opportunity on our next away trip to test the boys on just how much they know about the club. Some of the questions certainly caught me out. This is a fascinating read for the dyed in the wool Leicester supporter. It will test the memory to the ultimate degree. I really enjoyed 'The Official Leicester City Quiz Book'. It will be a real collectors item and a lot of fun for all Leicester supporters and especially the historians of the older generation. 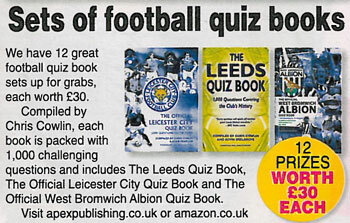 'The Official Leicester City Quiz Book 'is a great idea. I'm sure more will follow and it will be good fun for all. I can see more quizzes appearing on the long away coach journeys. This book is great fun and certainly would test the knowledge and memory of any Foxes fans. Packed full of statistics, trivia and little known facts this book should prove popular with all Foxes fans, regardless of age. A great set of questions for any Leicester City fan to try and tackle - I was certainly caught out on a few, this book will be great for down the pub and amongst friends - a must for any Foxes fan! This book has so much information in that teaches you a lot about the history of Leicester City – I am sure you will have a lot of fun with this! A challenging quiz spread over decades of Leicester City. What a wonderful gift for any Leicester supporter, a real test as the book covers all era's. Be a specialist on any certain player - good luck! 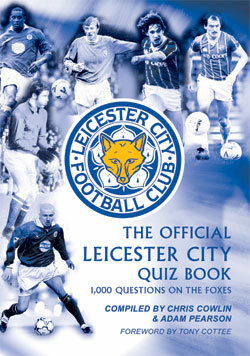 If you love Leicester City and quizzes this is definitely the book for you. Even if you don't it's a good read anyway! 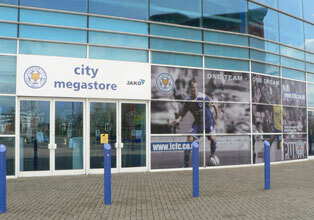 A must for all Leicester City fans everywhere! A great idea, I wish you every success with the book. I left my hometown club, West Ham United, in October 1996 for what I was hoping would be an end of career, financially rewarding, swansong. By the time July the following year came around I was desperately unhappy, homesick and missing English Football. I wasn`t too concerned because I always felt that I would return to play for a few more years in England with the likely destinations being Orient, Southend or Colchester. Never in my wildest dreams though, did I think I would return to the Premiership but when Steve Walford, an old team mate of mine and the now first team coach at leicester City, called me to say that Martin O`Neill was interested in signing me, I was absolutely stunned. It was to be the start of 3 fantastic years of success for me and the club. I signed in August 1997, a week after Robbie Savage had joined the club and although I was made very welcome and became a part of the first team squad it took me fully 6 months to get fit and convince the Manager I was worthy of a starting place. Eventually Martin picked me and I am proud to say that I was part of the team that won 1-0 at Old Trafford in January and scored the winning goal, my first ever at the Theatre of Dreams. I never looked back after that and after establishing myself as a regular partner for Emile Heskey, the goals flowed and the success came with it. I scored my 200th League goal at Spurs, played in Europe for the first time and played in the 1999 League cup final which we lost. I thought I was destined never to win my first winners medal but the following year we beat Tranmere 2-1 and lifting the Cup that day was a memory that will stay with me forever more. My career lasted 20 years but I can honestly say that my 3 year spell at leicester was my happiest times in the game. The joy came from the top with Martin, Steve and John Robertson creating a fantastic team spirit and atmosphere around the place. The players revelled in it and boy, did we have some fun! But, I look back with immense pride about 2 things. I was very lucky to have played with the likes of Lennon, Izzet, Walsh, etc and many more outstanding players. We created a successful period for the club which will probably never be repeated. I also feel proud to have played for Leicester City FC, which is a wonderful club that has fantastic people working for it in all areas at both the ground and training ground and is blessed with a very loyal and passionate group of supporters. Magical memories they were and as I look back on the journey now, some 7 years later, my feelings for the club haven`t diminished, in fact, they have got stronger. I am proud to say that "I was there!" 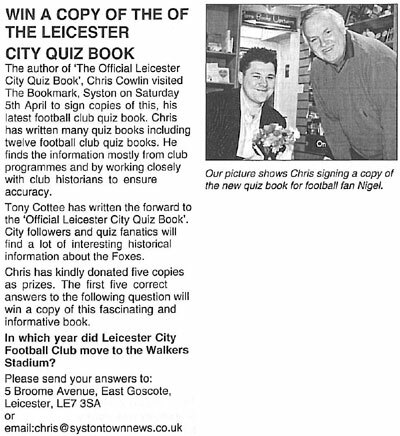 I am delighted to have been offered the chance to write this foreword for the Leicester City Quiz Book because I have always been a football fan first and foremost and like all fans I pretend to know everything there is to know! We often used to have football quizzes on the way to away games when I was at the club but sadly we didn`t have a book like this to refer too which meant there was too many arguments for my liking about who was right and wrong! Leicester City FC is a fantastic club and hopefully with the publication of this book it will answer all the questions and help you to look back on the glory days of old without the problems we had! 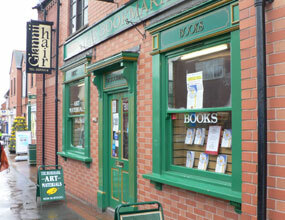 This is the book that sorts out the real City fans from the armchair supporters. It's a huge collection of questions which could keep the average fan occipied for almost a season's worth of away trips. former great players and historical moments. 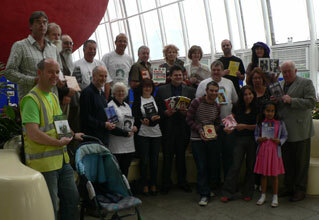 Lots of fun for young and old foxes. You might also find some of the anwers in the quiz by exploring the TCF website at: http://www.norfox.net. Think you can out-Fox the Leicester City quiz book? You'll need to know your Lynex from your Lineker though! 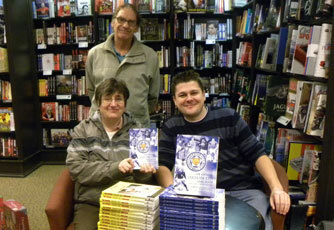 A must for all Leicester City fans, if you are a Fox, you'll want to buy this book. Very comprehensive. Stat gurus will have fun with this one! 19 November 2009 - Chris Cowlin was interviewed on The Eye 103 FM. 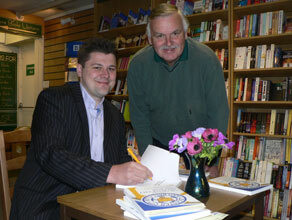 Chris answered questions about his book 'The Official Leicester City Quiz Book'. Chris was interviewed on 'The Jack Dempsey Show'. 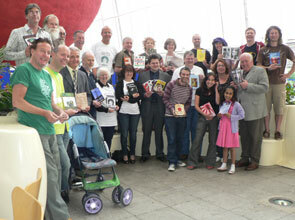 23 November 2009 - Chris Cowlin was interviewed on BBC Radio Leicester 104.9 FM. 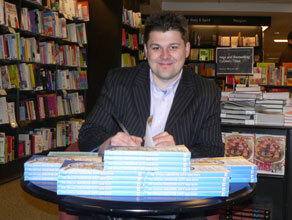 Chris answered questions about his book 'The Official Leicester City Quiz Book'. 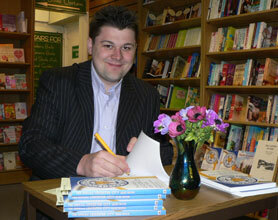 Chris Cowlin signed copies of his book 'The Official Leicester City Quiz Book'. 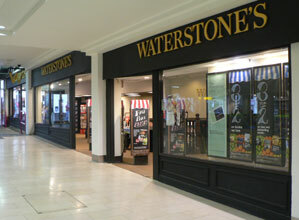 Chris Cowlin signed copies of his book 'The Official Leicester City Quiz Book' and various other titles at Waterstone's, The Shires, Leicester. 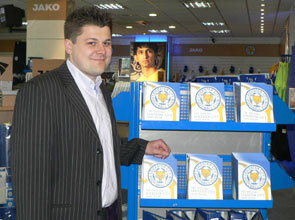 Chris Cowlin with copies of his book 'The Official Leicester City Quiz Book' at Leicester City Football Club.